Heli is a customer experience, digital strategy and marketing professional with experience in retail, media and telecommunication businesses both btob and btoc sectors. Understanding the drivers of outstanding customer experience and creating customer-centric business concepts is my passion. Savvy use of data is a key to more relevant services and communication. MyData approach will open new opportunities to use even more rich data and transform business models. During last years Heli has worked a lot in using data for creating better CX, personalized communication and services. 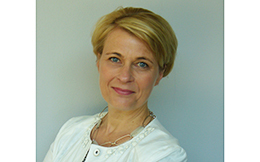 In her position at Sanoma Media Finland she is leading the transformation process of customer service and customer experience.